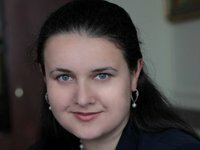 The creation of a financial intelligence body will be the second stage of the reform of the State Fiscal Service of Ukraine and would require amendments to the legislation, Ukrainian Finance Minister Oksana Markarova has said. "The first stage is the creation of the tax and customs services. The second stage requires amendments to the legislation: this is the creation of a financial intelligence body, which will be named the FIS [the Financial Intelligence Service] or the NBFS [the National Bureau of Financial Security], but the main thing is that it will be an analytical and functioning body," she said in an interview with Interfax-Ukraine. The reform of the State Fiscal Service at the first stage is possible to implement without amendments to the law, Markarova said. The finance minister said that the conditions of the Stand-By Arrangement (SBA) of the International Monetary Fund (IMF) do not require the creation of the body using the concrete model. "The SBA does not focus on details of the name of each body. The main thing is that we share philosophy of changes and the top-level concept of how the reform should go on," Markarova said.